Add two new fields in the personal tab to specify any additional information. Click ‘Turn On’ next to the button labelled ‘Analysis Code In Use’. Two fields will now be available for you to define the labels of what will be displayed in the ‘Personal’ tab. 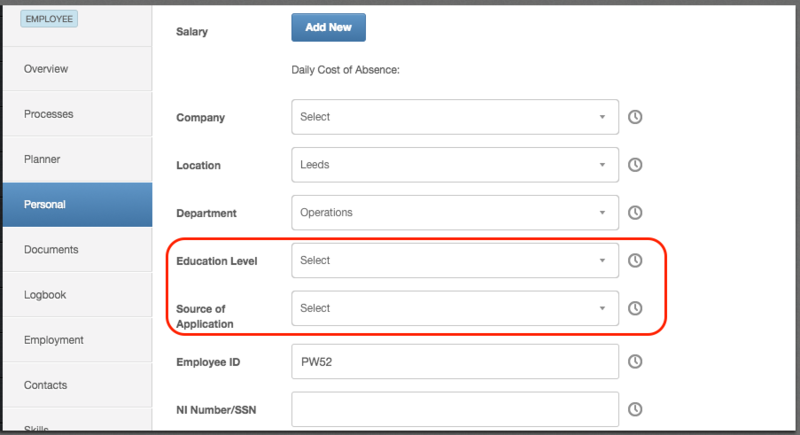 Here is how the two fields will look like within an employee's record. 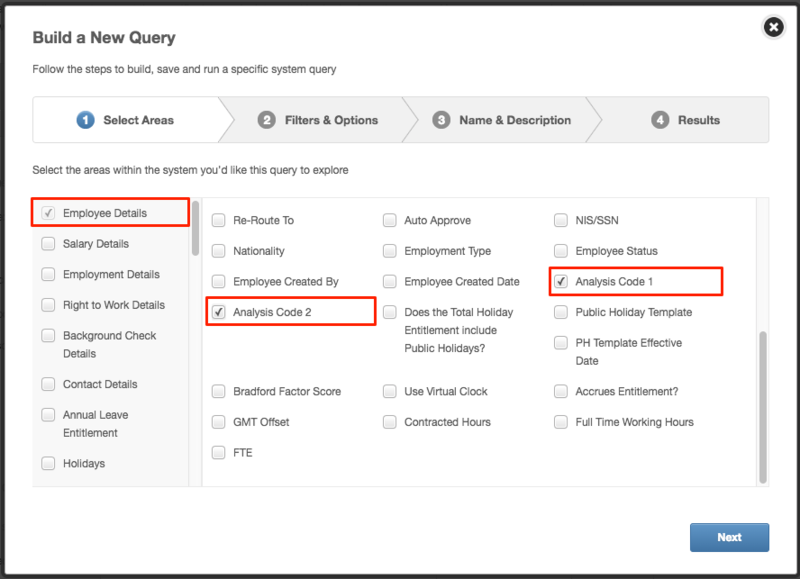 The two additional fields are also available via the API ‘Employee’ Endpoint. As you can add, edit or delete options from the Company/Location/Department field lists, you can also define the options within your new personalised fields. To do this, go to an employee’s 'Personal' tab, selecting the appropriate drop-down box and click ‘Manage this List’ at the bottom of the list.